Support BCC by Shopping at Stong’s! Parents and supporters of BCC can have their groceries delivered to their doors on-island and help support our work at the same time, thanks to an innovative giving program initiated by Stong’s Markets. 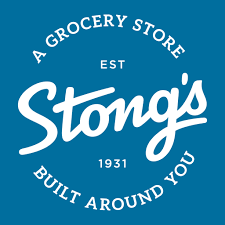 Stong’s, one of BCC’s community partners, will deliver groceries to Bowen Island addresses every Thursday, and parents can nominate to have 4% of the value of their bill donated to BCC by Stong’s as part of their corporate giving program. The cost to you as their customer remains the same. To support this program, simply place your order online, then nominate BCC for the rebate program during the checkout process at www.stongs.com.